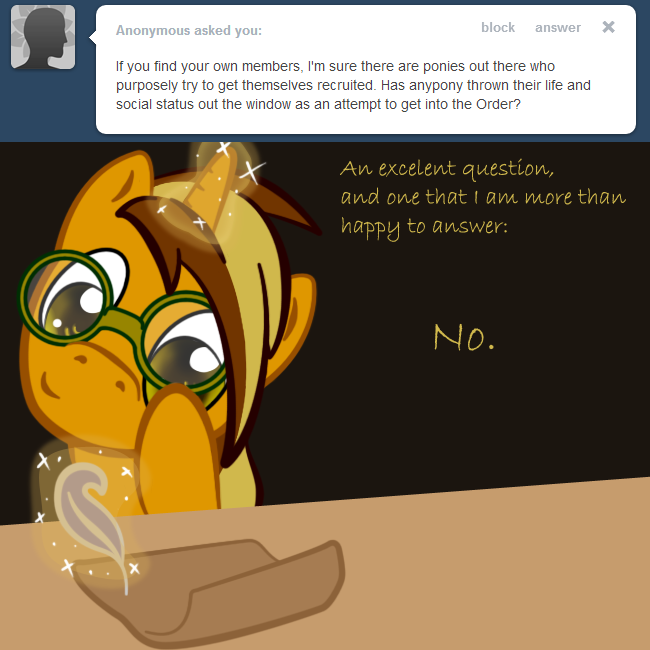 Quill answers all of my Anons now. It takes a lot of worry off my flank. Of course, I still have to draw the answers. Special guest Cherrystripe and three "completely unknown silhouettes."